Okay, so as far as new experiences go, Amazonia isn’t exactly out of our comfort zone. What is new about it is that the boys have never been there before and that in itself is a small step in the right direction. 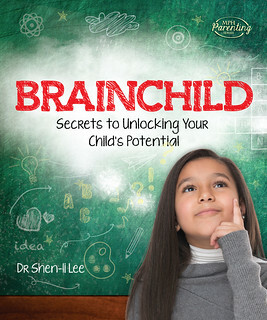 Remember that the goal isn’t to take the occasional massive step but lots of frequent steps. It’s like exercise – you’re better off doing three small workouts every week than one big one every month. 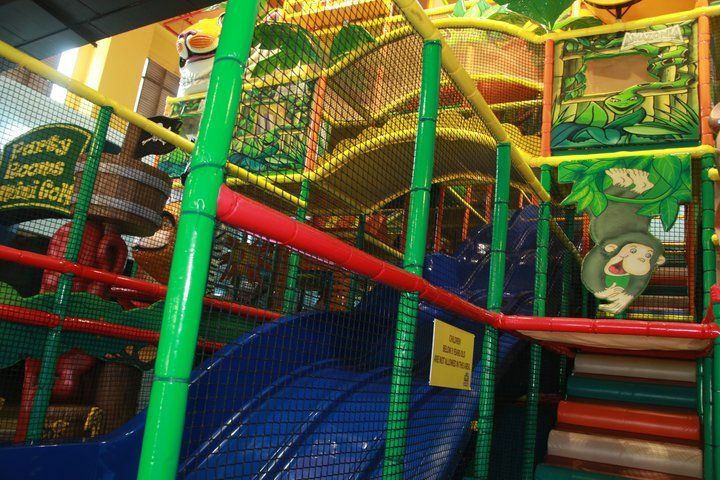 Jungle Gym – the play area is pretty small, but the structure is tall. Given the compact area they are located in, they’ve done pretty well to fit what they have. There is also an enclosed toddler play area so the little kids can play without being in danger of being trampled by excited older kids. 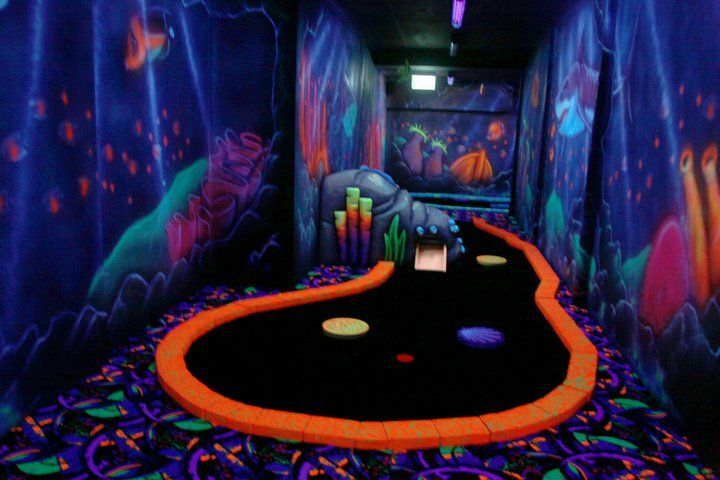 3D Glow Golf – which is essentially a miniature golf course with glow in the dark features. 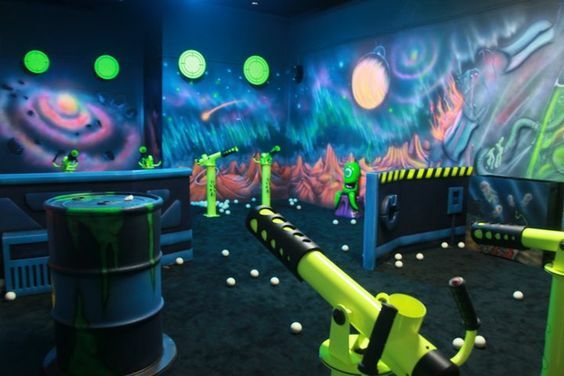 Space Ball – there is an enclosed room specifically for the air guns that shoot plastics balls. The place was pretty packed and you only get 2 hours of play time on weekends, as opposed to the unlimited playtime at most of the other jungle gyms we’ve ever been to. 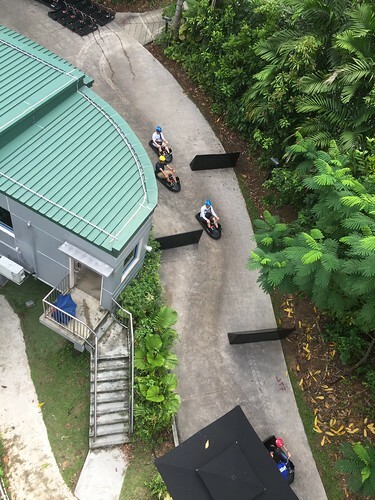 Our next activity was the Skyline Luge on Sentosa Island. If you’ve never been before, it’s basically a toboggan without the snow. 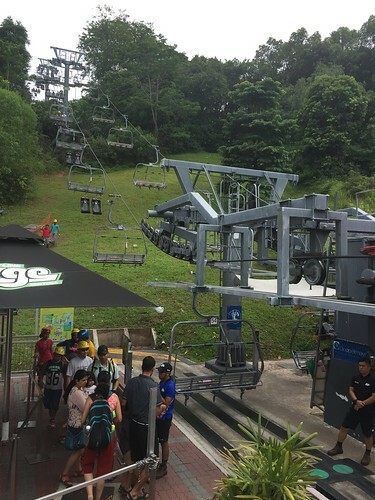 To get to the top of the hill, you’ll have to ride the skyride which are just like the chairlifts that take you to the top of a ski run. Once you get to the top, you sit on the luge and pull back on the handlebars to start rolling down the hill. If you find yourself picking up too much speed, just pull harder and the brakes will engage. Before you get on, there are a few rules of conduct that you need to be aware of. 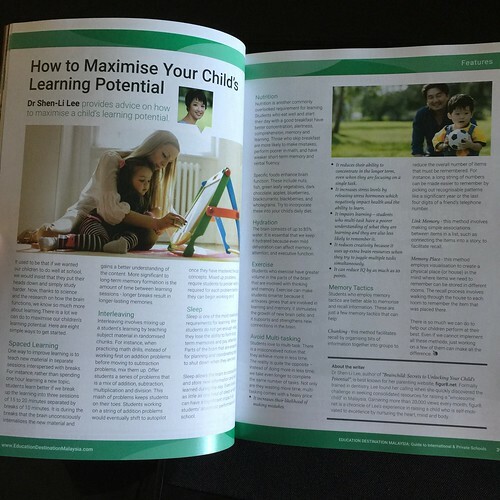 There are also some height and age requirements for kids. Children need to be at least 6 years old and 110cm tall to ride the luge on their own. Those shorter and younger are allowed to ride with an adult. To get to the top, you need to take the skyride (which is basically a chairlift like the ones they use in the ski resorts). The minimum height to ride this is 85cm and children must be accompanied by an adult. 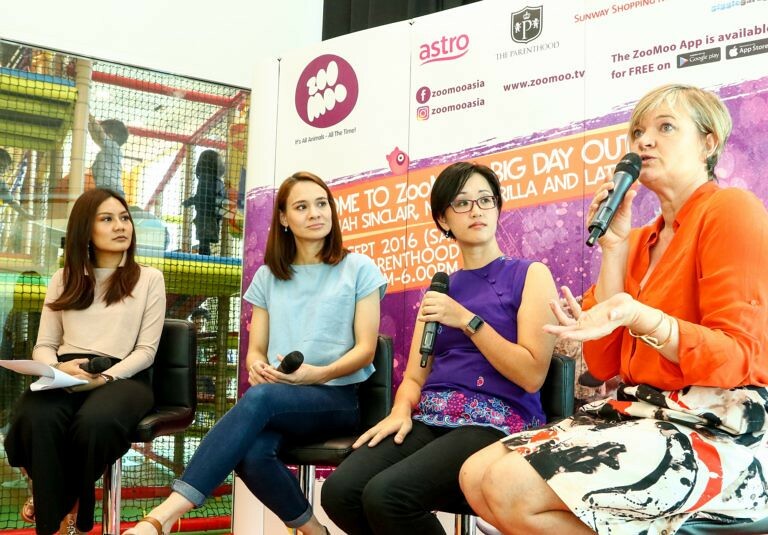 Children who are at least 135cm tall may ride alone. 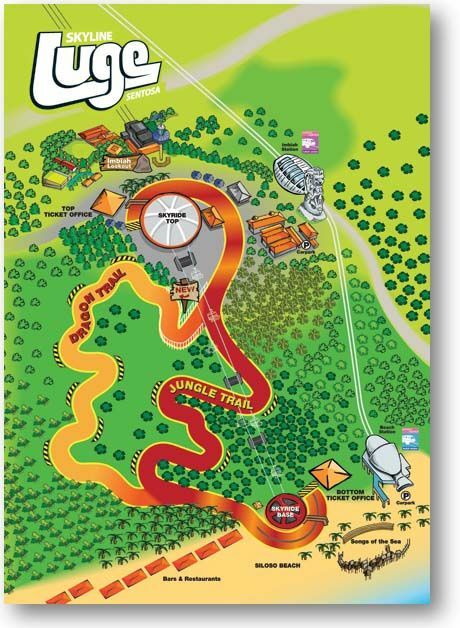 The Sentosa Skyline Luge offers two trails – the dragon trail and the jungle trail – so you’ll want to go at least twice to experience each one. It’s a fun experience – especially for the kids that love this sort of thing (G2), but the ride comes to an end far too quickly. If you’re intending to pay them a visit on the weekend, your best bet is to get there early – ideally as soon as they open their doors. It starts to get pretty crowded towards lunch and afternoon. Journey 2: The Mysterious Island The 4-D Experience – this is basically sections of the Journey 2 movie that have been made into 3D with additional 4D effects like wind, water and a poking chair. Extreme Log Ride, 4D Simulation Ride – this is essentially a rollercoaster ride without the rollercoaster. Everything happens on screen and your chair moves around to make you feel like you’re on the rollercoaster. Definitely skip this one if you suffer from motion sickness – I barely made it to the end. Desperados, Interactive 4D Shoot-Out Game – in this adventure, you sit on a “rocking horse” and shoot the bad guys on the screen. Probably the most fun of the three, IMHO. The fourth activity is the Pirate adventure but to experience that, you need to pay an additional $10. All in all, I thought it was a pretty underwhelming experience. The boys thought it was wonderful so I guess it was worth it. Our last “new” activity was the Forest Adventure but more about that here.